Taizé Service: An evening of music, prayer, veneration of the Cross and reflection at 7:30 p.m.
Wednesday, April 17, Tenebrae at 7:30 p.m., Queen of the Most Holy Rosary Cathedral: The choir sings from the triforium choir loft for this somber and reflective service of Holy Week. Traditional Latin motets, psalms, and the Lamentations of Jeremiah are sung. 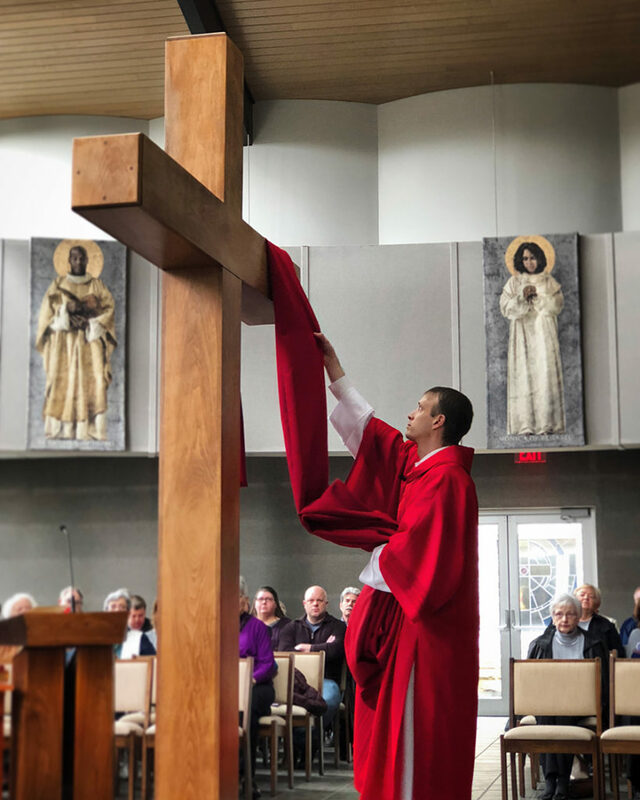 On Good Friday (April 19) at 7:30 p.m., join the CCUP Contemporary Music Group for an evening of music, prayer, veneration of the Cross and reflection. Music by our Director of Music Ministry, Luke D. Rosen.